The homeowner had a vision and it was large and chic. 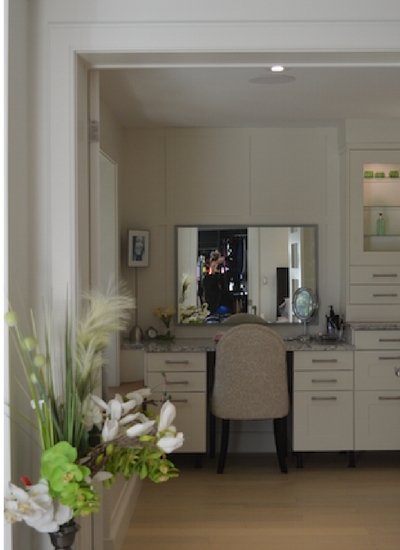 With this en-suite bathroom renovation we had lots of space to be creative. We designed and built this space with an open look, making sure not to block the view of their beautiful lake. We incorporated a custom-built bench below the window, just for those moments when you are getting ready and your children want to talk about something important. 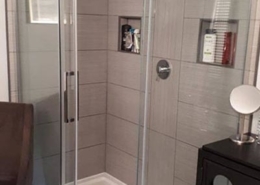 We kept with the chic look by using a freestanding soaker tub and faucet, where the homeowner can soak away her stresses. 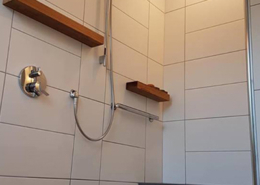 A custom tile shower with three-piece glass was built using trending colors and incorporating a custom niche and stylish teak towel rack. 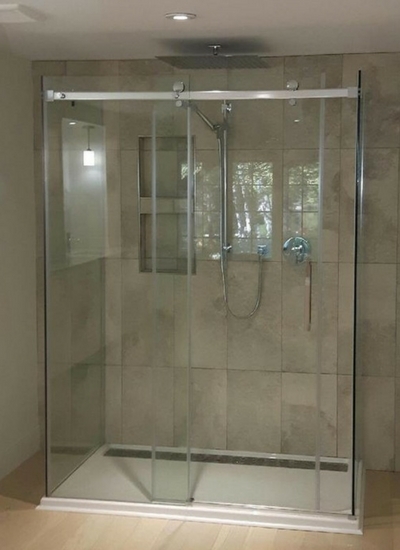 This custom shower is big enough for those times where you take a moment for just mom and dad. 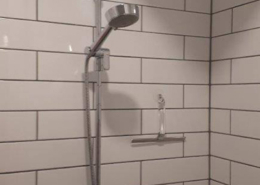 A beautiful 2-way shower kit, equipped with an oversized rain-head and hand-held was installed, providing a spa like feeling. 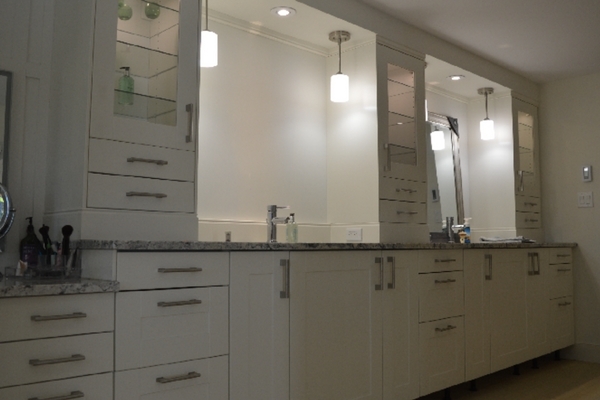 A his and hers full length vanity was installed to allow sophistication and functionality to the morning regiment. Glamorous pendant lighting and tower cabinets added that “dynamite” factor. 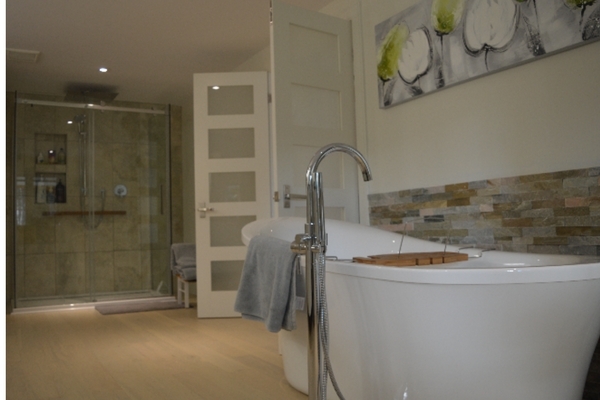 There is more, the en-suite comes equipped with a in-floor heating system to keep you warm from your toes up. We didn’t stop there for creativity. We added wainscoting panels that are hidden compartments in the wall and the bench to hide cords and utilities. They open with a soft click, making it easy access. 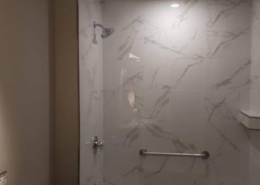 Click here to view our renovation services.